I had the pleasure of meeting J.D.R. Hawkins in April at the Missouri Writers' Guild conference at Christina Katz's master class. JDR is an award-winning author who has written for newspapers, magazines, newsletters, e-zines, and blogs. She is one of a few female Civil War authors, uniquely describing the front lines from a Confederate perspective. 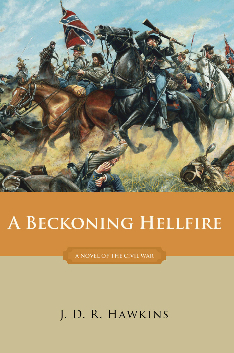 Her Renegade series includes the debut novel, A Beckoning Hellfire, recipient of two awards. Her new prequel, A Beautiful Glittering Lie, is also an award winner. Both books tell the story of a family from north Alabama who experience immeasurable pain when their lives are dramatically changed by the war. Ms. Hawkins is a member of the United Daughters of the Confederacy, the International Women’s Writing Guild, and the Mississippi Writers Guild, and is an artist and singer/songwriter. 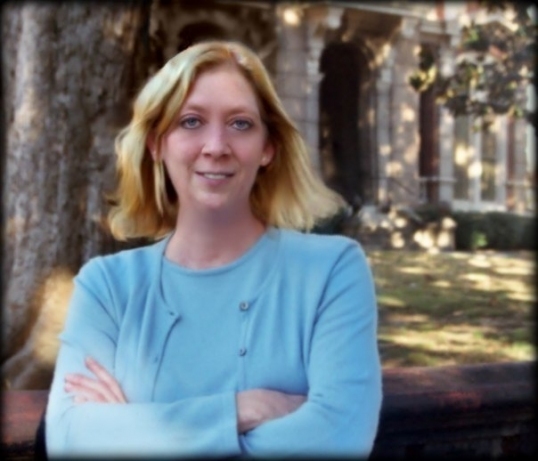 She is currently working on a nonfiction book about the War Between the States, as well as two more sequels for her series. Learn more about her at www.jdrhawkins.com. The Writers’ Lens is about "Bringing fiction into focus." What brings your writing into focus-- the characters, the stories, the love of words? I’d have to say all of the above. When I first started researching the Civil War, I found that there were very few novels written about Confederate soldiers. The more I researched, the more I discovered why these men fought. It wasn’t to preserve slavery. At that time in history, most Americans didn’t care one way or another, and slavery was still legal in some northern states. My objective is to tell the story of a common Confederate soldier, and describe battles as realistically as possible. That was a challenge for me at first, and I had many nightmares from visualizing battle scenes! Most of the characters are based on real people, and the fictitious ones become so realistic through their dialogue that they fit with the story and make it flow. How do you find time to write and do a demanding job? I have a strict regimen that I follow. I’m not much of a morning person, so I don't write before work. Instead, I do most of my writing around suppertime. Thankfully, my husband is understanding and does most of the cooking! It isn’t unusual for me to stay up until 2 or 3 o’clock in the morning to read over what I’ve written. What inspired your latest book? My new novel, A Beautiful Glittering Lie, is actually a prequel to my previous book, A Beckoning Hellfire. I wrote two sequels to A Beckoning Hellfire before going back and writing the prequel, and I think there is room for another sequel. What do you think readers will like about your book? That it is based on fact, and that it tells the Confederate side of history. A Beautiful Glittering Lie is based on the diary of a soldier who fought with the 4th Alabama Infantry Regiment. The 4th Alabama was one of the few Confederate regiments that survived to the end of the war. It also tells the story of one soldier's son, how he is committed to staying at home, and how the war affects him as well. Would you share a bit about your next project? Presently, I am working on a nonfiction book about the Civil War. I am also doing research for two more novels, one of which is also about the Civil War, and one that is about my hometown, Sioux City, Iowa, during the Roaring Twenties. Thanks for joining us, JDR. This is T.W. Fendley. You can also find me at www.twfendley.com and on Twitter @twfendley. So what is the Confederate side of history, and what was everyone fighting about? It was all based on economics. The South wanted to export cotton to Europe, but the North wanted to tax it and have control. There was a conflict over where to place the Transcontinental Railroad. Once the Civil War began, President Lincoln had it built through northern states, thus improving their prosperity. Slavery was still legal in several northern states. When a victory (actually a draw) was obtained at Antietam (Sharpsburg), Lincoln wrote into law the Emancipation Proclamation, which freed slaves, but only in southern states. It was written in an attempt to cripple the South by taking away its free labor force. There were other factors that came into play as well. Primarily, the Civil War was about states rights vs. a centralized government that would have control over the entire country. A Giveaway to Support Writers in the Park!